I first heard about Cetaphil cleanser and cream from my doctor, as a good preventive product to use on acne prone skin. Since I have been using the Cetaphil Oily Skin Cleanser I found that it makes a difference to my facial skin. This cleanser is formulated to be used for teenagers and adults who have oily, combination, or acne-prone skin. This gentle, foaming cleanser removes the excess oil, dirt and makeup without stripping or drying the skin. I find this pH balanced, non-comedogenic facial cleanser is ideal for morning and evening cleansing. I find that a drop of this clear gel like liquid is enough to wash the entire face. It cleans the skin without leaving any residue that can irritate my skin. 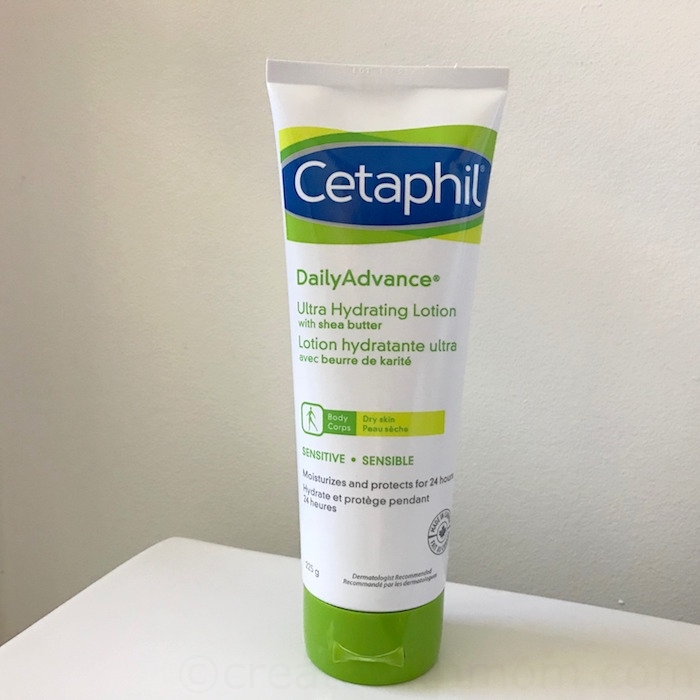 Cetaphil DailyAdvance Ultra Hydrating Lotion is a luxurious, creamy lotion formulated with Shea butter to instantly replenish, hydrate and protect dry, sensitive skin. It has Epidermal Replenishing Complex5 (ERC5TM), a unique combination of five key ingredients that protects dry skin and enhances hydration. I find this lotion provides intense moisturization lasting several hours. The lightweight, non-greasy moisturizer absorbs easily and leaves my skin feeling soft and smooth. We can use this lotion for both our face and body, which I find convenient. The lotion helps restore our skin and we can use it as a moisture barrier all year round. This lotion is non-comedogenic and fragrance-free and is clinically proven to hydrate and protect the skin for 24 hours. 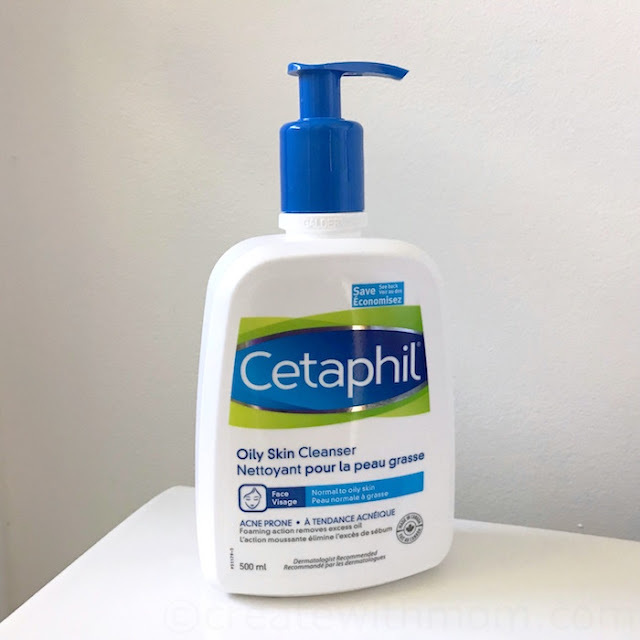 Cetaphil is a Canadian company, and the products are manufactured at Galderma in Baie d’Urfé, Montreal. I like how easily we can find the cleanser and cream that is most suitable for skin through their online perfect match page. If you are in Canada and would like to win a cleanser and lotion that is suitable for your skin type enter the giveaway through the rafflecopter below. This giveaway ends on October 31st. Please leave comments and follow my social media networks to be eligible to win. Update: The winner has been contacted. I live in Newfoundland and yes the Perfect Match page is very helpful for me to find the product that is suitable for me because i have such dry skin ! I'm from Ontario. I found the page extremely helpful. I matched with products that would be beneficial to dry skin. My favorite would definitely be the Moisturizing Cream. I live in Ontario and yes I did find the Perfect Match/Cetaphil page describe my combination skin perfectly. I am from Manitoba and found it very useful. I found out my skin type. My perfect match is the gentle skin cleanser because i have sensitive skin. i am in calgary alberta. Ontario and I did find the Match page very helpful. I am in BC and I must say the page told me they had many more products than I thought, so yes it was helpful. I like in Alberta. 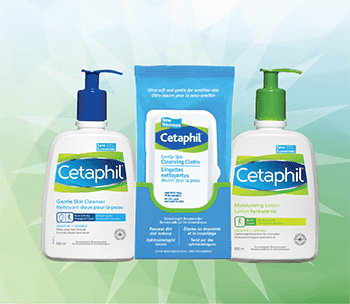 I found many Cetaphil products suitable for my skin type. From Manitoba. The perfect match page recommended the oily skin cleanser. I found the perfect match page very helpful as it pulled up all the products suitable for my oily, acne prone skin. I live in MB. The Perfect match page was helpful in that it brought me to the products they recommend for my skin type. I live in Southwestern Ontario. The system worked well and did find the recommended products I should be using. I love Cetaphil but never tried the recommended products! I live in NL anad the perfect match was helpful for letting me know which products are best for dry skin. I live in Ontario. I found the perfect match page to be very helpful. The perfect match for me are the gentle line of cleansers and wipes. yes, it gave me great recommendations for my combination skin. I'm from Toronto and yes, I love the recommendations from "Your Perfect Match". I live in Alberta and it does help, always a bit difficult when you have combination skin. I'm from Ontario. I already use Cetaphil's Gentle Skin Cleanser and love it. It's great for sensitive skin. I am from NS and yes I found I have sensitive skin and need to use the correct skin type products. I live in NL. Yes,it did help.,thanks! I'm in Ontario and yes it did help! I live in NB and determined that I have combination skin and will have to look for products for my skin type. I am in BC. The Perfect Match page was helpful. I'm in Toronto, my Perfect Match is Gentle Skin Cleanser. I like in BC. THe one for me is the Gentle Skin Cleanser as my skin is Sensitive. In T.O & I found DERMACONTROL Oil Control Foam Wash for my skin! I am currently using the face wash and moisturizer and am happy with the results for my dry skin. I would love to win some more of this great product! the Perfect Match page was helpful and I am from Saskatchewan. I live in Ontario (GTA). I found the perfect match helpful. I'm in BC and my skin type result was COMBINATION SKIN (although my nose and forehead are my dry spots, not oily). The product results came back with a few options - the ones I am most interested in are the DERMACONTROL Oil Control Foam Wash and the Daily Facial Moisturizer SPF 15. I live in Nova Scotia and I checked out the Combination Skin suggestions. I'm in BC and I found out that combination skin products are right for me. I'm from Ontario. I found that the products for dry skin to be the perfect match for me. I am in BC. I think DERMACONTROL Oil Control Foam Wash is suitable for my skin. I would like to try it to see results. I live in BC and the DailyAdvance Lotion is best for my skin! I live in Nova Scotia. I found Perfect Match helpful in choosing the products for my skin. I like having all the products for a particular skin type shown together. In ON here! The gentle skin cleanser is what I was matched with, very helpful! I am in Alberta. I was able to find several products suited to my skin type from the perfect match recommendations. I'm in AB and yes i found the page helpful. My skin is definitely combination.